It finally feels and looks like spring. It’s so beautiful! 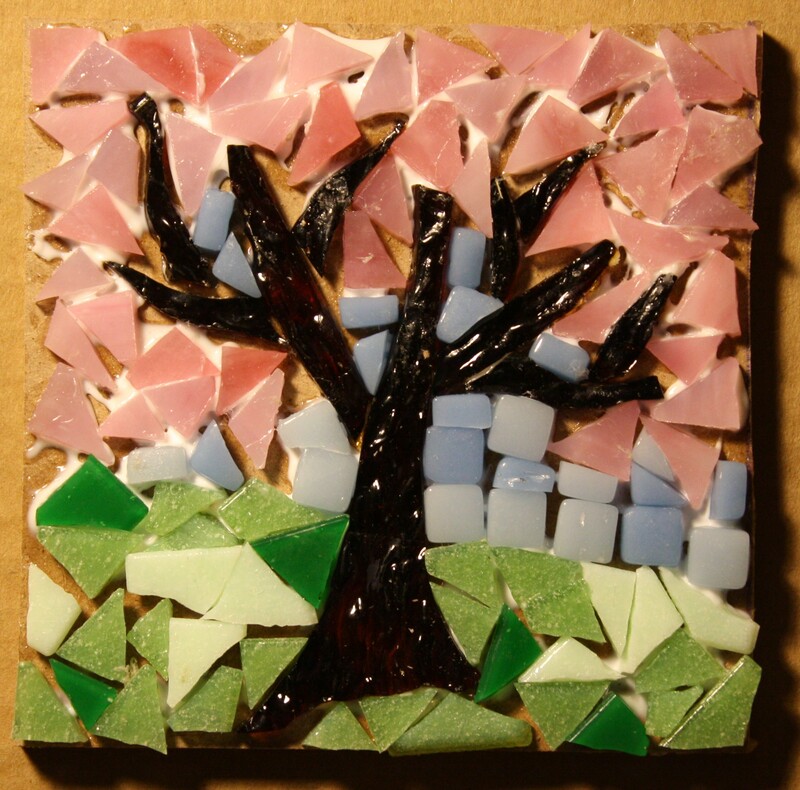 I just had to do a mosaic of a tree filled with pink blossoms. I found my brown glass so I was able to make a trunk and branches too. It took so long for spring to get here this year. It feels like everything is blooming at the same time. I love the colors and the scents this time of spring. Every year it seems like a miracle that the plants grow again. I’m amazed and grateful that the cycle just keeps repeating year after year.